Hello foodies! 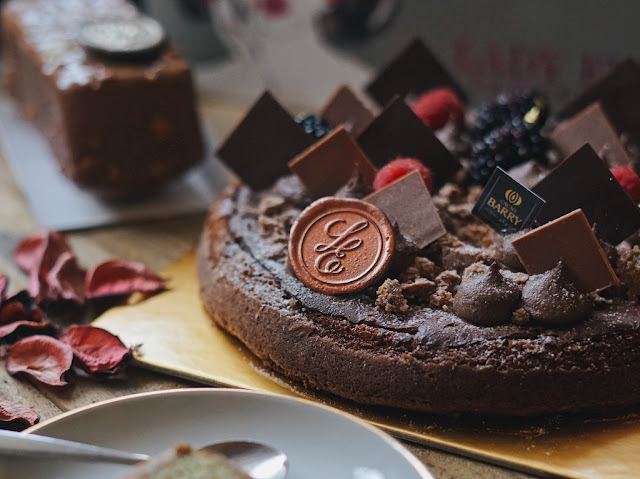 If you follow me on Instagram you must known that recently I often post chocolate dessert with #cacaobarryindo #unboxingcreativity and #puritybynature. 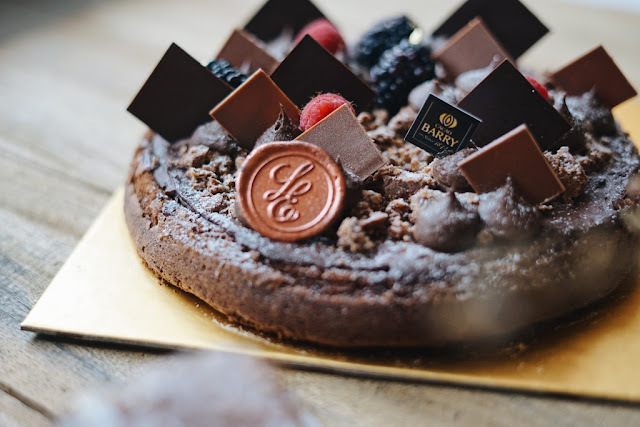 Yes, I do a campaign for Cacao Barry, one of the most well-known chocolate brand that many cafes, restaurants and hotels used for their creation. So lucky, that I'm chosen as one of their tasting panel, to try many desserts using the newest Cacao Barry collection: Ocoa, Alunga and Inaya! 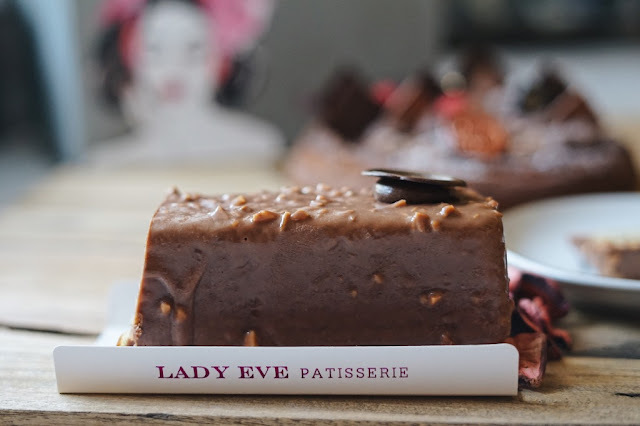 More info about it you can check my previous blog, HERE So, now I'm going to share my experience at one of cake shop that using Cacao Barry chocolate, Lady Eve Patisserie. Lady Eve Patisserie is a very interesting cake shop, because they actually haven't opened their own shop, they will open at 21st May 2017, so they start online business and I've known since the beginning that they have a very big passion in this area. They always create a good desserts with heart and love. I've tried their Brownie before and I agree that they have one of the best brownie ever! When I say brownie it means "real" brownie that flour-less and very chocolaty! Enough for their brownie cause I have something bigger than brownie. So, I got invited to try some of their cake before they officially opened for public soon. 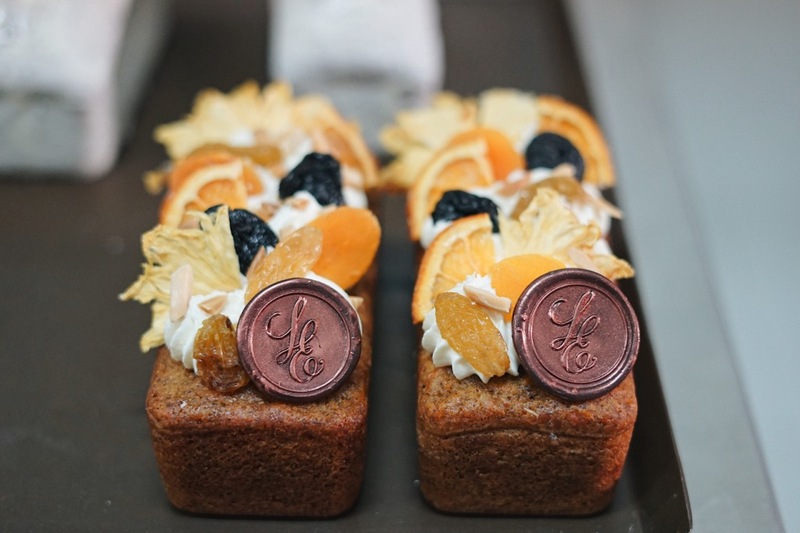 THIS IS TOTALLY A VERY PERFECT SPOT FOR PASSIONATE CAKE LOVERS!! All of their cake looks so pretty yet delicious, a part of me just can't wait to try while some hard to eat this beautiful dishes. 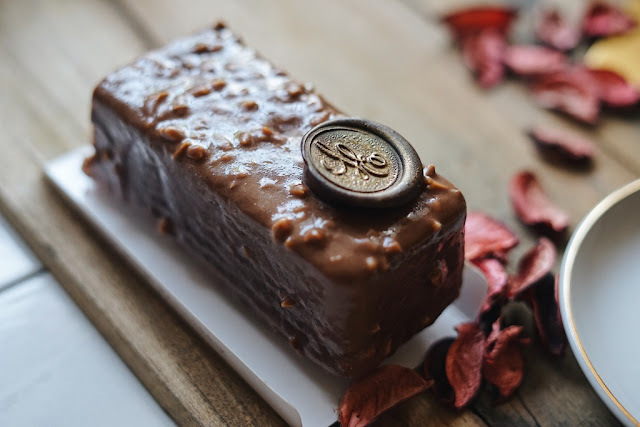 I can say their cake is the interpretation of woman's gorgeousness, they love to add flowery accent to their cakes and the aroma was so amazing. 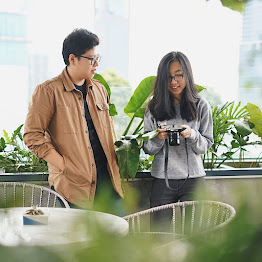 Here I met with Lulu and Evelyn that two persons that have big heart and deep passion in creating chocolate dessert, actually their not just serving chocolate cake but when they talk about chocolate cake I can see the difference in their eyes that think chocolate is not just an ingredients but also the heart of good cakes. They treated Cacao Barry chocolate in a very great way, while make a recipe they don't just giving a taste but also texture, that's why here you won't ever a straight texture, you can feel many texture in one bite and of course many taste that combined really well and go through together in harmony. 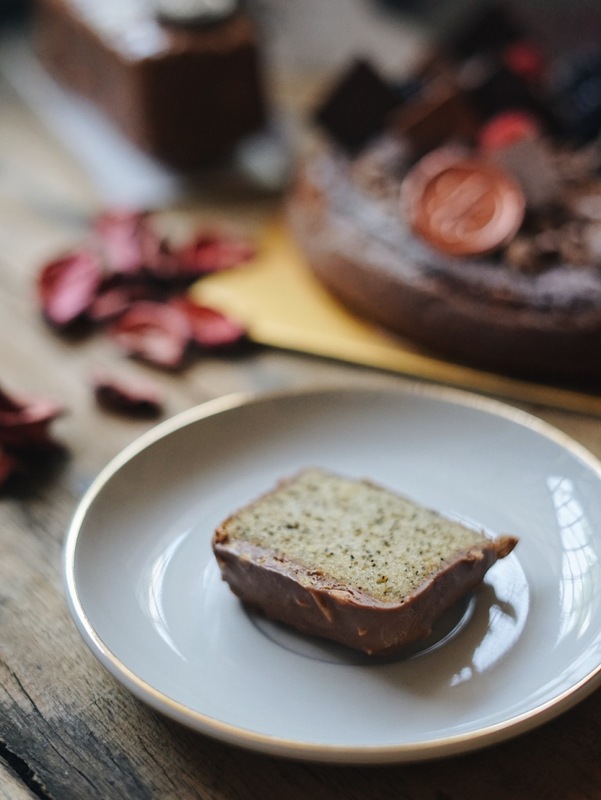 Have you ever heard about flour-less cake? They create even almost no-flour cake! 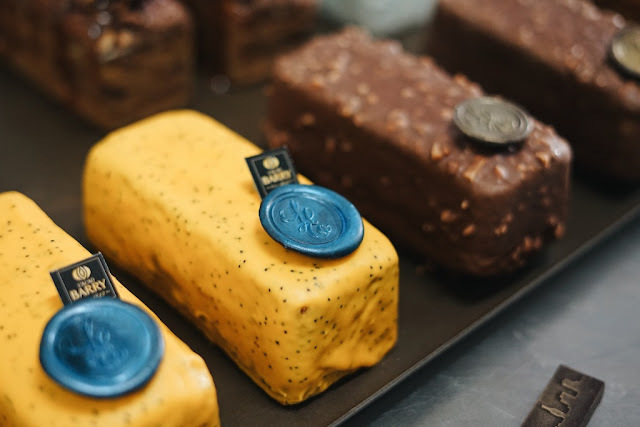 It called "Mr.Grant" it's a cake based with Ocoa 70% by Cacao Barry, mixed berries fruit coulis, Inaya 65% Blackcurrant and Hibiscus Tea with Cassis Puree, Alunga 41% Crunchy Biscuit and Chocolate Cremeux. See? Many components with different texture, taste and character. 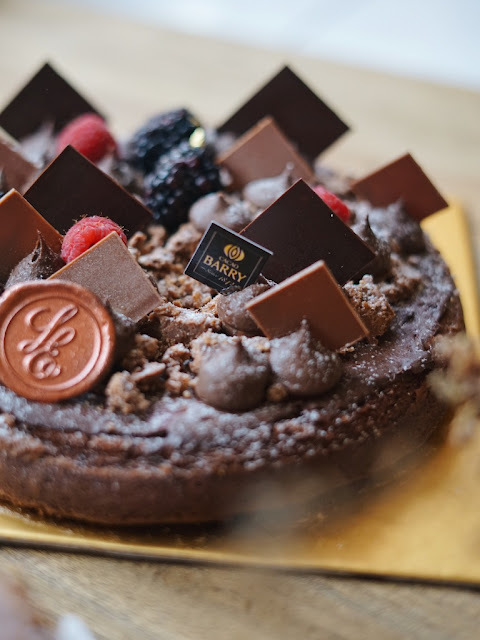 All combined in one cake that make it so special for me, especially when the chocolate meets sourness of berry, this is a lovely touch, this is absolutely a very recommended cake. "Mr.Grant" is very comfort and you can eat it many slices without get bloat. Personally I always love chocolate meets sweet and sour fruit like berry and of course passion fruit! The natural taste of passion fruit is very sour but we (Indonesian) often enjoy it as syrup and it's sweet but actually they very sour. 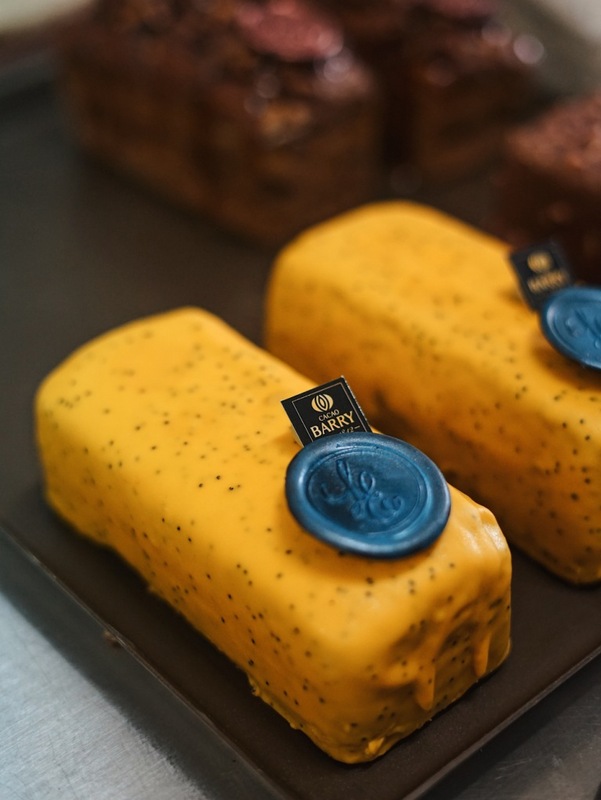 So it's passion fruit Alunga 41% Chocolate Ganache Insert, Salted Peanut Caramel Insert, Alunga 41% Milk Chocolate Cake with Ocoa 70% , again they use all Cacao Barry chocolate in one cake, so you can taste many layers of taste in one bite, I love it and this travel cake concept makes this cake is easy to bring and you can enjoy it anytime anywhere. YUM! 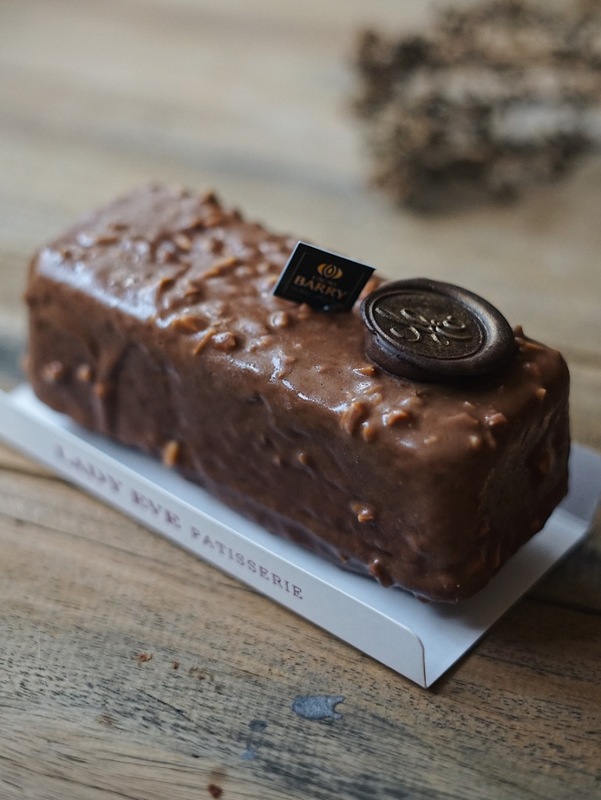 Another tempting travel cake by Lady Eve Patisserie, now the chocolate is not the based because it's tea base, yup the cake using Earl Grey Tea as the base then inside also have cream cheese and coat with Alunga 41% Milk Chocolate and some peanuts to give crunchy texture and it's definitely a very decent cake! So many layers and taste in this cake, the best thing I can say from this cake is nothing dominate the taste, the chocolate elevate the taste of tea and so did the tea! Two thumbs up for them! 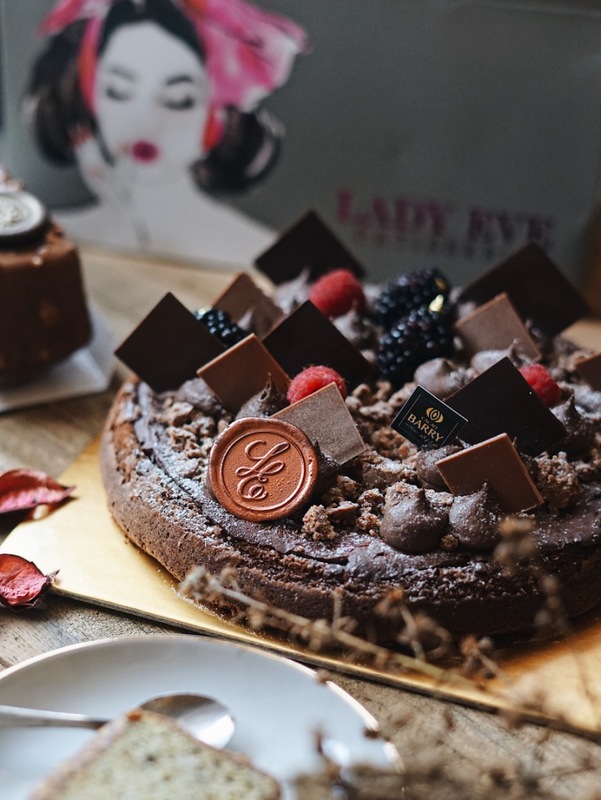 Once again I'm going to tell you that always do something follow with your passion, because when you truly love what you do the results is outstanding, just like the cake by Lady Eve Patisserie. 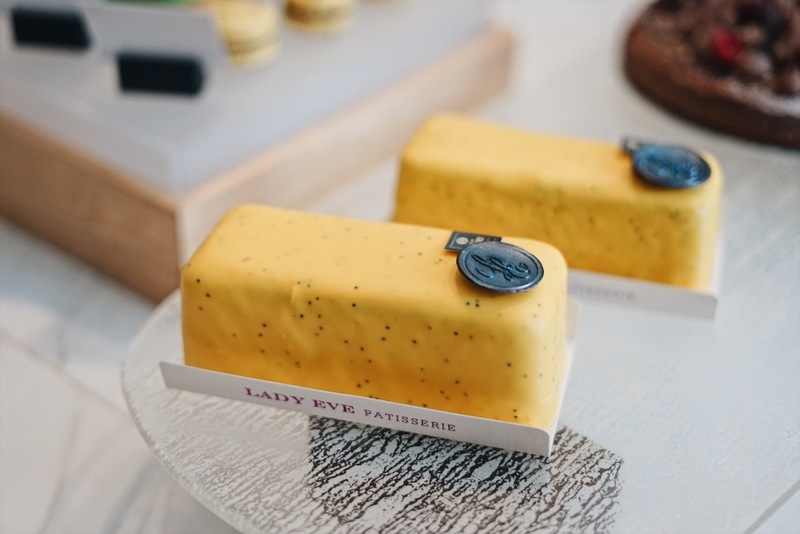 Now better mark it on your calendar that Lady Eve Patisserie going to open their first store at Ruko The Spring Selatan No.41, Gading Serpong!